The most beautiful MIUI 8 has finally arrived for Xiaomi devices and so for our YU Yureka. 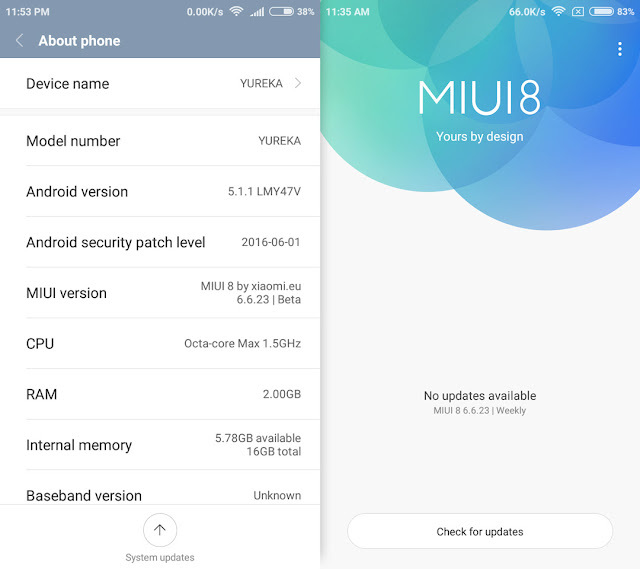 So after MIUI 7, here comes my MIUI 8 Global and China Beta/Developer ROM for Yureka and Yureka Plus. 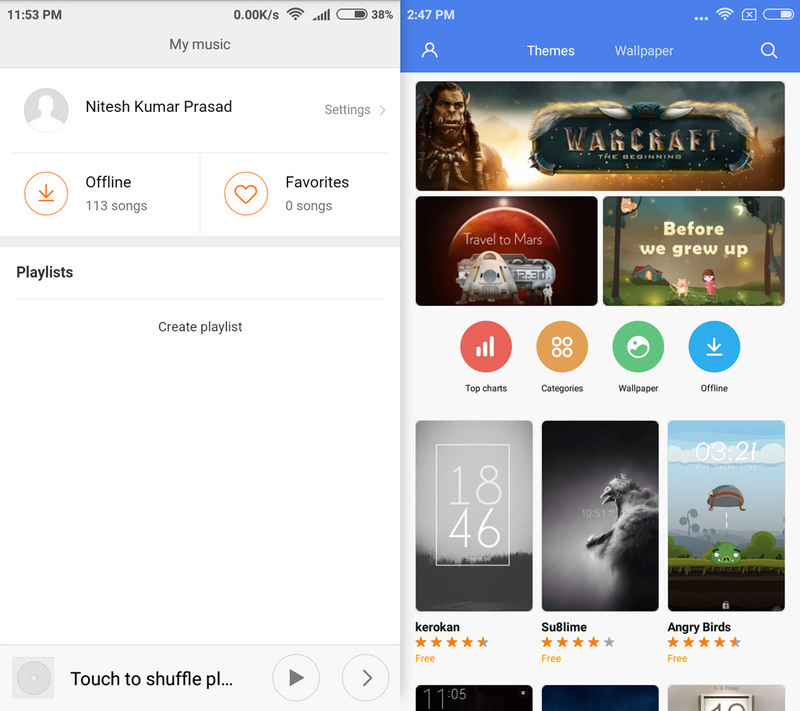 The new version of MIUI is indeed colorful with its redesigned beautiful UI. System app like Dialer, Calendar, Contacts are more colorful and the color tones used are more refreshing. The notification shade now offers a much more dynamic experience, with core functions exposed and hidden through delicate scrolling. The system UI is now smoother and battery backup is much improved. Many new features are also added. This MIUI 8 Global/China Developer ROM is based on Android 5.1.1 Lollipop. This Custom ROM is ported from xiaomi.eu unofficial MIUI 8 weekly release which is fully translated into English and is multilingual. Thus, this MIUI 8 is actually a Global version. Remember this MIUI 8 ROM is not an official release from MIUI team; this is just a ported ROM from Redmi 3. And MIUI 8 is itself in Beta stage so don’t expect zero bug. 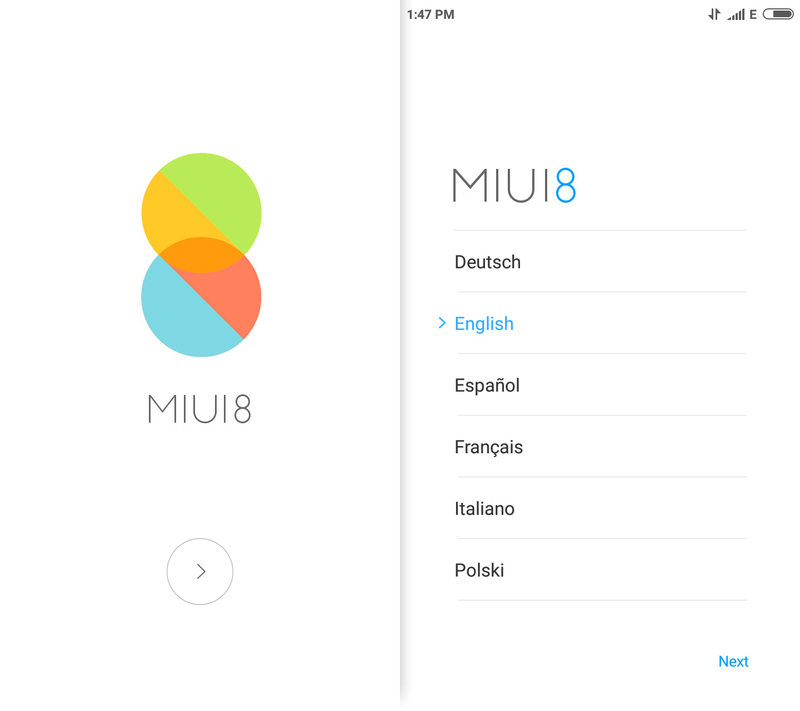 What’s New in MIUI 8? New redesigned colorful UI and fonts, and a new notification shade which comes with weather information, search bar etc. New MIUI 8 Gallery, Wallpaper Carousel, Scanner, Camera, Calculator, Notes and many more. System optimized for power saving and app management, so more power and smoother user experience. It also comes with new Power Saving Mode. 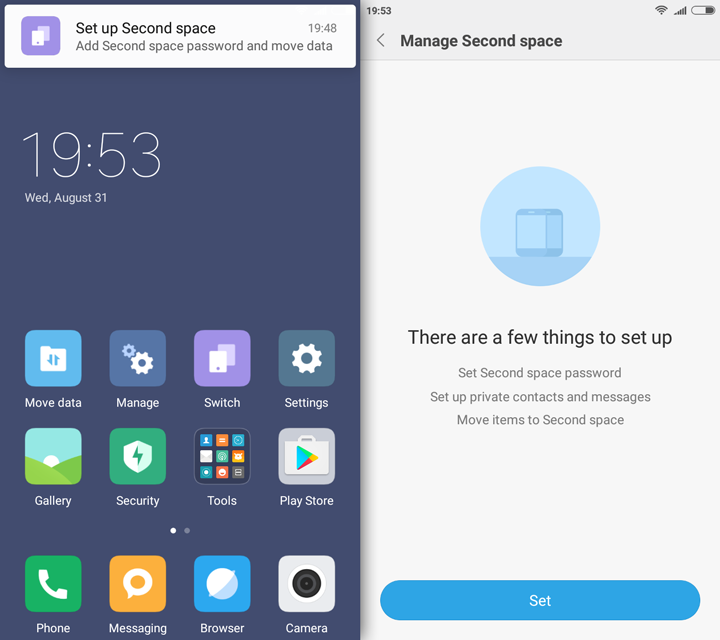 Second Space – this is just like making a second account in Windows PC where you can keep different apps, photos and files and every setting will be different i.e. just like a different phone!! Cloned Apps – using this feature you can clone apps like WhatsApp, Hike etc. and use two different WhatsApp etc. with different accounts on the same phone. After first boot you may feel little lag but it will go after few hours of use. So don't panic. MIUI does not support NTFS file system. So better use FAT formatted SD Card and USB. But if you have already a NTFS formatted SD Card then use Paragon exFAT, NTFS & HFS+ App to mount it. Do not flash MIUI Official OTA Updates, it will BRICK your device. Huge thanks to CyanogenMod and MIUI Team. Thanks to luguose for his Chinese MIUI 8 6.6.17 ROM for Coolpad F2 FHD in bbs.zhiyoo.com which helped me to solve some bugs. Special thanks to @Shohaib05 for his Velocity kernel. Special thanks to +Kiran Anto for his Razor Reborn Kernel. Special thanks to @sebsch1991 for help in modding MIUI APKs and for his sMIUI Mod. Will u provide further updates of this ROM. I love Miui. But, future updates is also necessary for new features & stable ROM. Actually I don't have Yuphoria. But I'll ask @Divyansh747 to port it for you guys. This is a 64 bit ROM. If you are using stock Kitkat (COS 11) ROM then you have to upgrade to 64 bit by flashing COS 12 Official Update before flashing this ROM. I just flashed miui 8 yesterday and the rom is smooth and looks good.but i am facing a lot of heating issues and also a lot of battery drain(dosent last above 2 And half hours).will flashing the smiui mod help? sMIUI Mod will help to some extent. And also use Kernel Adiutor to decrease minimum CPU and GPU frequency. And do not over clock CPU or GPU. Since the ROM is in beta stage it has some minor bugs. But it will be fixed in upcoming updates. nitesh..thanks for miui8 for yureka. but i fell some lag while scrolling the home menu..
Don't use Razor 1.8 kernel with this ROM. Either use the default kernel or Eximious v8. 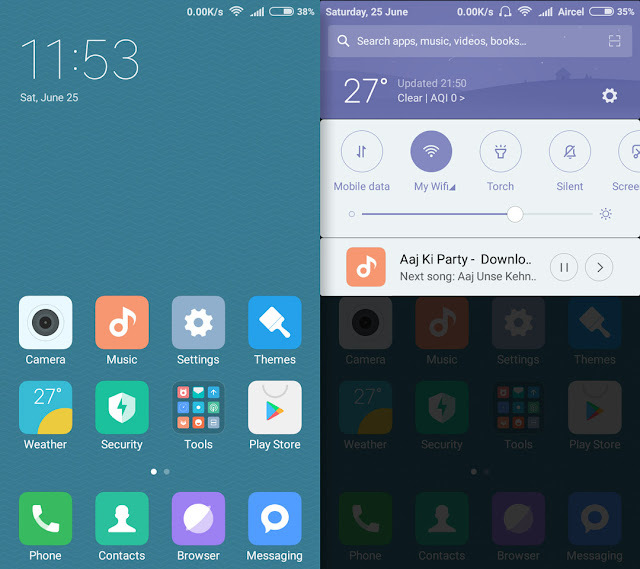 Very soon MIUI 8 based on android 5.0 is going to be released with Razor 1.8 kernel inbuilt. Jio 4G sim is working in this ROM. Already tested. Check you internet pack, APN and network settings. And use the latest build. Hello Bro..MIUI * is awesome installed the old version MIUI 8 v6.6.30 ..which has gud smooth but heating and charge drain but this update u have rectified ..i have downloaded the new version..i have some doubts in it..I want to wipe again all data ..like first or just lik upgrading..and in that the second space will work or not..as in that old version it was not working..
You must do a clean flash since the ROM has been downgraded to Android 5.0.2. Second Space is still not fixed. Do a clean flash. Dirty flash on the previous build won't work since it is based on Android 5.0.2. 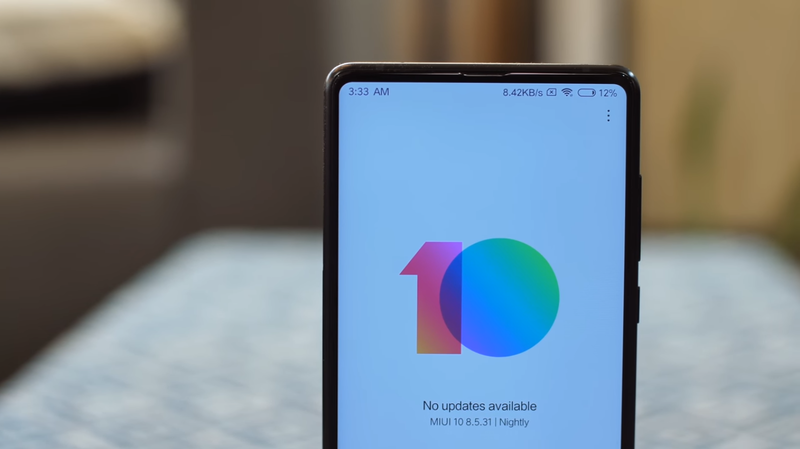 Can you please port miui8 for one plus 2? 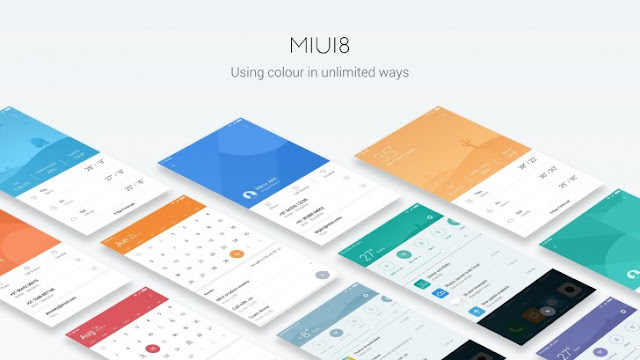 Jio may work on MIUI 7 but in MIUI 8 it is confirmed to work fluently. Hullo Bro..only data for Jio..Will u update Voice also for Jio..?? It requires compatible firmware which can only be released by the company, YU Televentures officially. after the recent update i.e. 17.09.2016 – ROM Port MIUI 8 (v6.9.8) Developer ROM my Yureka is heating and battery performance is also very weak compared to previous versions. Try flashing the RazorReborn v1.8 kernel. Link is given above. I recently flashed the v6.8.25 on my Yureka, I have battery drain issues, should I try the new v6.9.8? Any suggestions? Yeah you should give it a try. Bro , I admire your hard work . I messed up my yu+ so I downloaded MIUI8 (698) and flashed it many times on which it had Cyan12.0 YNG1TAS34J previously with twrp and supersu . But unfortunately It doesn't come out of loop now even after flashing with ur miui8 several hundred times. Any suggestion would be highly appreciated . Thanks for ur dedication . Try flashing other ROMs and check whether you face bootloops. Currently battery problem is common in Yureka because of their low build quality. But I Try flashing while on charger cable . I tried also your MIUI7.5 with bug fix , it keeps it's habit of being in endless loops still . Any hope ? Should I throw it in the bin or what ? That's it ! That's all I needed . This kept my hope alive , is all your words . I have gained faith in YU( i.e. You ) . Once again , Thanx . I will straight head towards a nearby shop next mornin'. hi bro i wanted to know that do i have to flash the 15 sec boot patch along with the rom at the same time or by flashing the rom first and then flashing the boot patch after that. and is it neccessary to flash the razorborn kernel or is it already included in the v6.9.8 (Android 5.0.2). You have to flash 15-Sec-Patch along with the ROM. The ROM includes Dominator Formula X kernel. You may flash razor reborn if required. As long as I believe , The 15sec patch is just the cache partition image , built already . When we boot for the first time after Flashing new rom , The phone builds that very cache partition , which needs time ( 10 mins max for my case , I think .). If you already patch the cache stuff , the phone doesn't need to make cache further , as it gets what it demands after 1st boot . So , is the 15sec patch . Yeah, you're right to some extent. It contains Dalvik Cache + Some /data files. Nitesh Ji , Stunning work . Flashed your MIUI 8 v6.9.8 , works like charm . Many thanx to yu. Battery is costing me around Rs.800 here in kolkata , so I opted for cheap copy . Working good though. Can I flash sMIUI mod in my 6.9.8 or the quaser Atmox , which one is suitable for 6.9.8 ? Please do suggest . Oh yes , With your 6.9.8 , no heating Issues faced at all . Yes , Rjio 4G Sim working seamlessly . No noticeable major bugs found after all these days . Unfortunately , Don't know how to increase sys partition size , wanted to test anna's Meizu port for YU+ . As it looks very pretty , and I personally use Meizu M2 Note . If yu can post how to increase sys partition , easy way , your way ( i.e. reliable way ). hi bro, so i've been using this ROM for more than a month now and there are is no major bugs but there are some things irritating me. first one is that the phone's performance has reached a dead end it lags and hangs very much and i cant even use normal apps like fb, insta etc.gaming is just impossible even to open a video i have to wait 2-3 minutes. second is that the battery perfomance has also became very weak it discharges very quickly even if i dont use it much. so please give me some suggestions how to resolve the above said problems. did this rom compatible with smartfren andromax Q with official cyanogenOS 12.1 based rom 5.1.1? After Using it for so many months , There is no single major bug that'll disturb you , I got . Thanx to Nitesh a ton for all that nice stuff. I'll be very much obliged , if Yu show me some light and can solve it .